1. 100% natural latex components. 2. Honeycomb design to obtain excellent ventilation and can rapidly depose the heat that human produce. 3. High density and good elasticity can reduce the pressure of human body. 4. Environment friendly and harmless. 5. Non-toxic,anti-mite,bacillus prevention and hypo-allergic. 6. Reducing the static charge during sleep. 7. Effectively promoting sleeping because of the Human engineering principle design. 8. Can effectively reduce the snore and be suitable for asthma. 9. 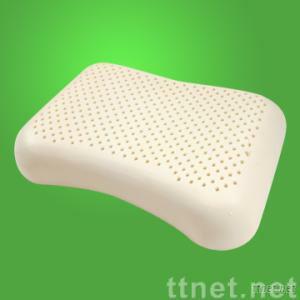 Can effectively improve the cervical vertebrae, lumbar vertebrae and lower the blood pressure. 10. Correcting the posture of depending on sitting ,lying. 11. Filled apr scription shaping by Hi-Techscience ,durable and never be deformed. Jiabo is a leading manufacturer of latex foam components for the bedding industry in china.